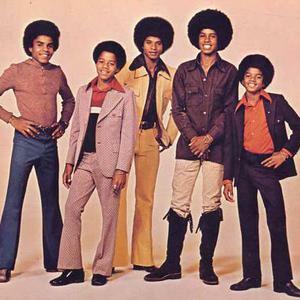 The primary members of the group were all the sons of Katherine and Joseph Jackson: Jackie Jackson, Tito Jackson, Jermaine Jackson, Marlon Jackson, Michael Jackson, and Randy Jackson. Joseph Jackson formed the band in 1964 and served as its manager, with Jackie, Tito, Jermaine, and unrelated youths Reynaud Jones and Milton Hite comprising its original lineup. Within a year, Michael and Marlon joined the band, and Michael became lead singer as the group developed a following in the eastern and midwestern United States during the mid-1960s. Signed to the Motown label from 1969 to 1975, and to CBS Records (as "The Jacksons") from 1975 until their disbanding in 1990, the Jackson 5 were one of the most popular groups of the era and became the first recording act to have their first four major label singles (I Want You Back, ABC, The Love You Save, and I'll Be There) reach the top of the American charts. Several future singles, among them "Mama's Pearl", "Never Can Say Goodbye" and "Dancing Machine", were Top 5 pop hits and number-one hits on the R&B singles chart. Most of the early hits were written and produced by a specialized songwriting team known as The Corporation? ; later Jackson 5 hits were crafted chiefly by Hal Davis. On July 23, the Jackson Five had their Motown audition, for which they performed James Brown's then current hit "I Got the Feelin'". Berry Gordy was not in attendance, but the audition was videotaped and sent to him in Los Angeles. Gordy's initial reluctance to sign the group disappeared when he finally saw the boys perform. Gordy decided to sign the Jackson Five to Motown, and hosted a party at his Detroit mansion on November 25, 1968 to introduce them to the Motown staff and stars.